Queen Elizabeth II has just completed a four-day state visit to Germany, included a visit to the Bergen-Belsen prisoner of war and concentration camps (where Anne Frank wrote her famous diary and died shortly before liberation), met the President Joachim Gauk and the Chancellor Angela Merkel, and visited Berlin and Frankfurt. The German people went bananas about the state visit – it was almost as if Germany had become the 54th member of the Commonwealth! The Royal Family is very popular among ordinary Germans despite the recent history of two World Wars. Royal marriages, divorces and births are followed closely and there is an obvious affection for the Queen. The pomp and ceremony, including the flag waving, are just not part of the culture in modern Germany, though it is noticeable that they have become a lot more at ease about waving the German flag since the football World Cup was staged in Germany in 2006. 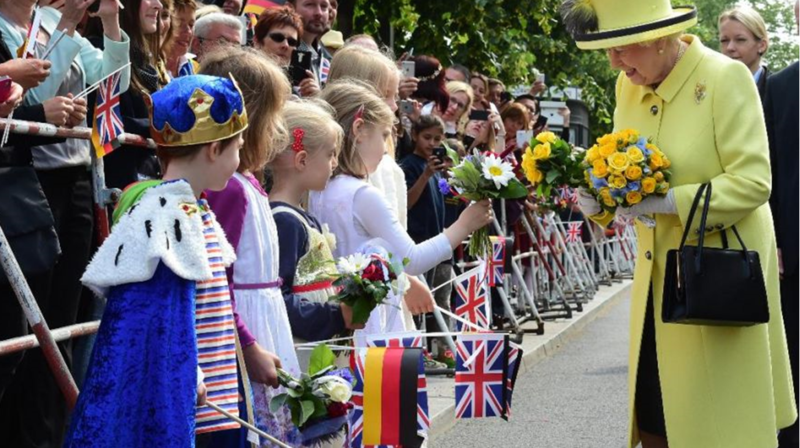 Partly because the Germans are much more buttoned-up about the whole concept of patriotism, the Royal visit was an occasion to dress up, go mad and just enjoy the state visit. English flags were still a lot more visible than German ones. Of course, there are strong connections between the British Royal Family and Germany, going back quite some time. But even in terms of the present, few realise that Prince Philip is a member of the House of Schleswig-Holstein-Sonderburg-Glücksburg and that he was partly educated in Germany. But at the end of the day what matters is quite simply that Germans admire the Queen’s charm and sheer will-power; it is a rare sight for an 89 going 90 year-old to perform her role so competently. 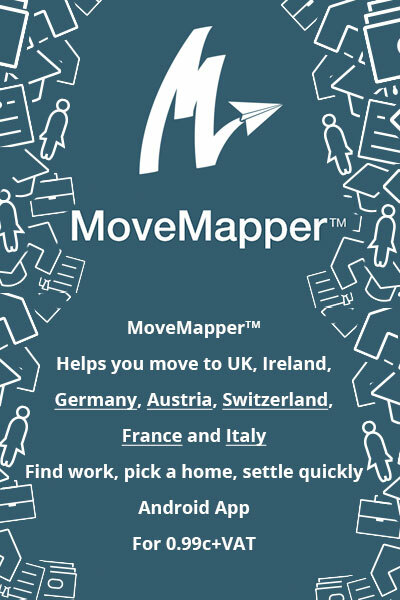 A rapidly ageing nation such as Germany certainly knows how to appreciate this. 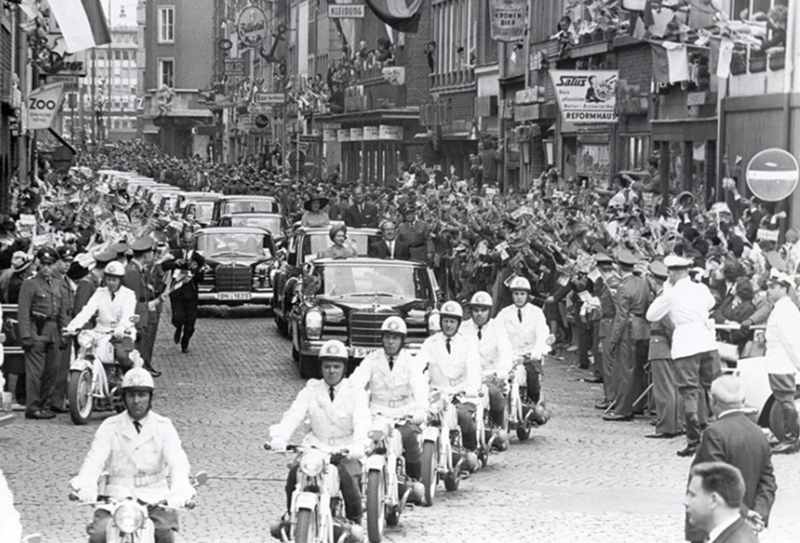 The royal couple’s first visit to Germany was actually back in 1965. It was an important state occasion, involving a marathon 11 cities and it is a generally acknowledged that it helped heal the wounds of World War II. As in the case of the first visit, the fifth and quite possibly last one, also drew large, enthusiastic crowds and generated significant media coverage. Neither Mr David Cameron nor Mrs Angela Merkel would have had one-tenth of the pulling power of the Queen, let alone one-hundredth of her influence in terms of building positive international relations between the people of Germany and the UK citizens. And, let us face it, after the on-going centrifugal forces generated by a possible Grexit, not to mention a possible Brexit, as well as the austerity drive which, rightly or wrongly, is associated with the EU and Germany, Europe can certainly do with a lot more of this sort of thing – it is a precious glue binding two nations together. Blink and you would have missed what all the fuss is about, not least because the crucial word uttered only contained three letters, namely the reference to the UK and “its” continent. The Queen could easily have chosen the word which would normally have been used in the sentence, namely “the” rather than “its”, but for whatever reason chose to do otherwise. It is very easy, indeed dangerous, to over- or mis-interpret the supposed meaning of a single word. Nevertheless, given the febrile discussions in the UK about the forthcoming referendum on whether to remain or exit the EU, the Queen’s speech is being widely regarded as an indication that the Queen favours continuing UK membership of the EU. This part of the speech, which could be read at different levels, is what has caused consternation among Eurosceptics in the Conservative Party as well as UKIP. The main reason is that it could be interpreted as being for the EU status quo and such speeches are normally done in conjunction with government officials. In other words, the suggestion is that the Queen is uttering that which Mr Cameron shirks saying himself. Despite the protestations emanating from Buckingham Palace and Downing Street that the Queen was not setting out a position in favour of the UK remaining in the EU, the speech resonates. The sentences chosen by the Queen made it clear that Britain is part of the European continent, that it is not a matter of “us and them”, as some would wish to portray things and that Europe (EU?) should remain united (though the Greeks appear to be doing their best to do the opposite). The Queen is supposed to be above politics but this is clearly nonsense. After all, she opens parliament. She appoints the Prime Minister and meets with him or her on a weekly basis. Not only does the Queen have a mostly ceremonial role in the Parliament of the whole of the UK, she also has formal responsibilities within the devolved assemblies of Scotland, Wales and Northern Ireland. It is therefore naive to maintain that she is a neutral observer and that and the Royal Family is above politics. Yet this is precisely what Buckingham Palace maintains and the average Brit is happy to believe, despite the recent “Black Spider” memo letters written by Charles, Prince of Wales, to the British government ministers and politicians over the years. Despite the British monarchy being supposedly politically neutral, the letters sent by Charles may be interpreted as an attempt to exert influence over British government ministers on a wide-ranging set of issues including farming, genetic modification, global warming, social deprivation, planning and architecture. If this is the case with Charles’ private letters, surely the Queen is able to influence politics, not to mention her subjects. If she is really trying to influence British voters to vote in favour of remaining in the EU in the forthcoming referendum on the matter, I would agree fully with her instincts. But the fact remains that she would not be politically neutral and neither should Bucking Palace, Downing Street nor anyone else pretend otherwise. Besides, this would not be the first time that the Queen has waded into referendums and possibly influenced their outcome. The most recent example of this was in September 2014. Shortly before the voting day on the Scottish referendum, the English Establishment, not least Downing Street, was panicked by the exit polls suggesting that there would be a majority in favour of Scotland becoming independent, into using every means possible to sway the vote in favour of Union. In the end, the plea issued by Buckingham Palace, with perfect timing, was to urge voters in Scotland to “think very carefully” about the referendum in an apparently spontaneous response to someone in the crowd. Needless-to-say, this too was widely reported by the media shortly before the vote. Like the words “its continent,” dangers of “division in Europe” and the need to “guard against it”, small things can make a significant difference in a country where her subjects revere the Queen. It is widely assumed that the urge to “think very carefully” was sufficient to influence swing voters during the Scottish referendum, resulting in a last-minute surge in favour of retaining the Union. That said, it is far from clear that the outcome of that particular referendum in favour of of retaining the Union will be the last word on the matter, as far as the Scottish National Party and the Scottish people are concerned. When it comes to the most profound issues facing the UK and its future, I believe that the Queen is not quite as politically impartial and Buckingham Palace would suggest. I suspect that Elizabeth II may well turn out to be, among other things, the Queen of the Referendum.